Alexander II (Russian: Алекса́ндр II Никола́евич, tr. Aleksandr II Nikolayevich, IPA: [ɐlʲɪˈksandr ftɐˈroj nʲɪkɐˈlajɪvʲɪtɕ]; 29 April 1818 – 13 March 1881) was the Emperor of Russia from 2 March 1855 until his assassination on 13 March 1881. He was also the King of Poland and the Grand Duke of Finland. 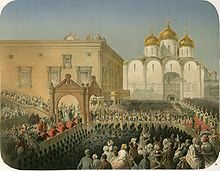 Alexander's most significant reform as Emperor was emancipation of Russia's serfs in 1861, for which he is known as Alexander the Liberator (Russian: Алекса́ндр Освободи́тель, tr. Aleksandr Osvoboditel, IPA: [ɐlʲɪˈksandr ɐsvəbɐˈdʲitʲɪlʲ]). The tsar was responsible for other reforms, including reorganising the judicial system, setting up elected local judges, abolishing corporal punishment, promoting local self-government through the zemstvo system, imposing universal military service, ending some privileges of the nobility, and promoting university education. After an assassination attempt in 1866, Alexander adopted a somewhat more reactionary stance until his death. Alexander pivoted towards foreign policy and sold Alaska to the United States in 1867, fearing the remote colony would fall into British hands if there were another war. He sought peace, moved away from bellicose France when Napoleon III fell in 1871, and in 1872 joined with Germany and Austria in the League of the Three Emperors that stabilized the European situation. Despite his otherwise pacifist foreign policy, he fought a brief war with the Ottoman Empire in 1877–78, pursued further expansion into Siberia and the Caucasus, and conquered Turkestan. Although disappointed by the results of the Congress of Berlin in 1878, Alexander abided by that agreement. Among his greatest domestic challenges was an uprising in Poland in 1863, to which he responded by stripping that land of its separate constitution and incorporating it directly into Russia. Alexander was proposing additional parliamentary reforms to counter the rise of nascent revolutionary and anarchistic movements when he was assassinated in 1881. Born in Moscow, Alexander Nikolaevich was the eldest son of Nicholas I of Russia and Charlotte of Prussia (daughter of Frederick William III of Prussia and of Louise of Mecklenburg-Strelitz). His early life gave little indication of his ultimate potential; until the time of his accession in 1855, aged 37, few[quantify] imagined that posterity would know him for implementing the most challenging reforms undertaken in Russia since the reign of Peter the Great. In the period of his life as heir apparent (1825 to 1855), the intellectual atmosphere of Saint Petersburg did not favour any kind of change: freedom of thought and all forms of private initiative were suppressed vigorously by the order of his father. Personal and official censorship was rife; criticism of the authorities was regarded as a serious offence. The education of the Tsesarevich as future emperor took place under the supervision of the liberal romantic poet and gifted translator Vasily Zhukovsky, grasping a smattering of a great many subjects and becoming familiar with the chief modern European languages. Alexander's alleged lack of interest in military affairs (as detected by later historians) resulted from his reaction to the effects of the unsavoury Crimean War of 1853–1856 on his own family and on the whole country. Unusually for the time, the young Alexander was taken on a six-month tour of Russia (1837), visiting 20 provinces in the country. He also visited many prominent Western European countries in 1838 and 1839. As Tsesarevich, Alexander became the first Romanov heir to visit Siberia (1837). While touring Russia, he also befriended the then exiled poet Alexander Herzen & pardoned him. It was through Herzen's influence that the tsarevich later abolished serfdom in Russia. In 1839, when his parents sent him on a tour of Europe, he met twenty-year-old Queen Victoria and both were enamored of each other. Simon Sebag Montefiore speculates that a small romance emerged. Such a marriage, however, would not work, as Alexander was not a minor prince of Europe and was in line to inherit a throne himself. 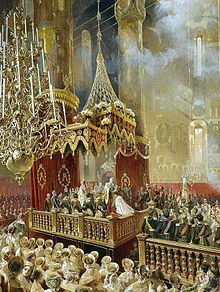 Alexander II succeeded to the throne upon the death of his father in 1855. He inherited a large mess that had been wrought by his father's fear of progress during his reign. Many of the other royal families of Europe had also disliked Nicholas I, which extended to distrust of the Romanov dynasty itself. Even so, there was no one more prepared to bring the country around than Alexander II. The first year of his reign was devoted to the prosecution of the Crimean War and, after the fall of Sevastopol, to negotiations for peace led by his trusted counsellor, Prince Alexander Gorchakov. The country had been exhausted and humiliated by the war. Bribe-taking, theft and corruption were rampant. Encouraged by public opinion, Alexander began a period of radical reforms, including an attempt not to depend on landed aristocracy controlling the poor, an effort to develop Russia's natural resources, and to reform all branches of the administration. In 1867 he sold Alaska to the United States for $7.2 million (equivalent to roughly $200 million in current dollars) after recognising the great difficulty of defending it against the United Kingdom or the former British colony of Canada. After Alexander became emperor in 1855, he maintained a generally liberal course. Despite this, he was a target for numerous assassination attempts (1866, 1879, 1880). On 13 March [O.S. 1 March] 1881, members of the Narodnaya Volya (People's Will) party killed him with a bomb. The Emperor had earlier in the day signed the Loris-Melikov constitution, which would have created two legislative commissions made up of indirectly elected representatives, had it not been repealed by his reactionary successor Alexander III. The Emancipation Reform of 1861 abolished serfdom on private estates throughout the Russian Empire. Serfs gained the full rights of free citizens, including rights to marry without having to gain consent, to own property and to own a business. The measure was the first and most important of the liberal reforms made by Alexander II. Polish landed proprietors of the Lithuanian provinces presented a petition hoping that their relations with the serfs might be regulated in a more satisfactory way (meaning in a way more satisfactory for the proprietors). 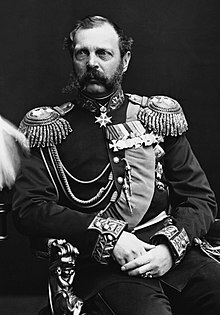 Alexander II authorized the formation of committees "for ameliorating the condition of the peasants," and laid down the principles on which the amelioration was to be effected. Without consulting his ordinary advisers, Alexander ordered the Minister of the Interior to send a circular to the provincial governors of European Russia (serfdom was rare in other parts) containing a copy of the instructions forwarded to the Governor-General of Lithuania, praising the supposed generous, patriotic intentions of the Lithuanian landed proprietors, and suggesting that perhaps the landed proprietors of other provinces might express a similar desire. The hint was taken: in all provinces where serfdom existed, emancipation committees were formed. The emancipation was not merely a humanitarian question capable of being solved instantaneously by imperial decree. It contained complicated problems, deeply affecting the economic, social and political future of the nation. Alexander had to choose between the different measures recommended to him and decide if the serfs would become agricultural laborers dependent economically and administratively on the landlords or if the serfs would be transformed into a class of independent communal proprietors. The emperor gave his support to the latter project, and the Russian peasantry became one of the last groups of peasants in Europe to shake off serfdom. The architects of the emancipation manifesto were Alexander's brother Konstantin, Yakov Rostovtsev, and Nikolay Milyutin. On 3 March 1861, six years after his accession, the emancipation law was signed and published. In response to the overwhelming defeat suffered by Russia in the Crimean War (1853–56), and to attempt to keep pace with military advances in other European countries, Alexander II appointed Dmitry Milyutin to carry out significant reforms in the Russian armed forces. Further important changes were made concerning industry and commerce, and the new freedom thus afforded produced a large number of limited liability companies. Plans were formed for building a great network of railways, partly to develop the natural resources of the country, and partly to increase its power for defense and attack. Military reforms included universal conscription, introduced for all social classes on 1 January 1874. Prior to the new regulation, as of 1861, conscription was compulsorily enforced only for the peasantry. Conscription had been 25 years for serfs that were drafted by their landowners, which was widely considered to be a life sentence. Other military reforms included extending the reserve forces and the military district system, which split the Russian states into 15 military districts, a system still in use over a hundred years later. The building of strategic railways and an emphasis on the military education of the officer corps comprised further reforms. Corporal punishment in the military and branding of soldiers as punishment were banned. The bulk of important military reforms were enacted as a result of the poor showing in the Crimean War. A new judicial administration (1864), based on the French model, introduced security of tenure. A new penal code and a greatly simplified system of civil and criminal procedure also came into operation. Reorganisation of the judiciary occurred to include trial in open court, with judges appointed for life, a jury system and the creation of justices of the peace to deal with minor offences at local level. Legal historian Sir Henry Maine credited Alexander II with the first great attempt after the epoch of Grotius to codify and humanise the usages of war. An attempted assassination in 1866 is generally blamed for a more reactionary period in Alexander's reign between that point and his death. The Tsar made a series of new appointments, replacing liberal ministers with conservatives. Under Minister of Education Dmitry Tolstoy, liberal university courses and subjects that encouraged critical thinking were replaced by a more traditional curriculum, and from 1871 onwards only students from gimnaziya schools could progress to university. In 1879, governor-generals were established with powers to prosecute in military courts and exile political offenders. The government also held show trials with the intention of deterring others from revolutionary activity, but after cases such as the Trial of the 193 where sympathetic juries acquitted many of the defendants, this was abandoned. In 1856, at the beginning of his reign, Alexander made a memorable speech to the deputies of the Polish nobility who inhabited Congress Poland, Western Ukraine, Lithuania, Livonia and Belarus, in which he admonished, "Gentlemen, let us have no dreams! "[clarification needed] The territories of the former Poland-Lithuania were excluded from liberal policies introduced by Alexander. The result was the January Uprising of 1863–1864 that was suppressed after eighteen months of fighting. Hundreds of Poles were executed, and thousands were deported to Siberia. The price of suppression was Russian support for the unification of Germany. The martial law in Lithuania, introduced in 1863, lasted for the next 40 years. Native languages, Lithuanian, Ukrainian and Belarussian, were completely banned from printed texts, the Ems Ukase being an example. The Polish language was banned in both oral and written form from all provinces except Congress Poland, where it was allowed in private conversations only. 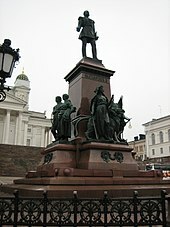 Monument to Alexander II "The Liberator" at the Senate Square in Helsinki, by sculptor Walter Runeberg. Erected in 1894, when Finland was still a Russian grand duchy. 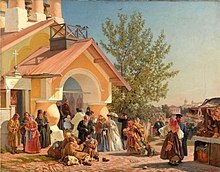 In 1863, Alexander II re-convened the Diet of Finland and initiated several reforms increasing Finland's autonomy within the Russian Empire, including establishment of its own currency, the markka. Liberation of business led to increased foreign investment and industrial development. Finland also got its first railways, separately established under Finnish administration. Finally, the elevation of Finnish from a language of the common people to a national language equal to Swedish opened opportunities for a larger proportion of the society. Alexander II is still regarded as "The Good Tsar" in Finland. The Caucasian War (1817–1864) concluded as a Russian victory during Alexander II's rule. Just before the conclusion of the war the Russian Army, under the emperor's order, sought to eliminate the Circassian "mountaineers" in what would be often referred to as "cleansing" in several historic dialogues. The Russian Emperor was successful in his diplomatic endeavours. Having secured agreement to non-involvement by the other Great Powers, on 17 April 1877 Russia declared war upon the Ottoman Empire. 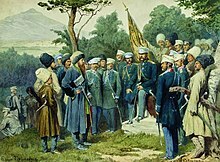 The Russians, helped by the Romanian Army under the supreme commander, king Carol I (then Prince of Romania), who sought to obtain their independence from the Ottomans as well, were successful against the Turks and the Russo-Turkish War of 1877–1878 ended with the signing of the preliminary peace Treaty of San Stefano on 19 February (3 March N.S.) 1878. The treaty and the subsequent Congress of Berlin secured the emergence of an independent Bulgarian state for the first time since 1396, and the tsar's nephew, Prince Alexander of Battenberg, was elected as the Bulgarians' first ruler. For his social reforms in Russia and his role in the liberation of Bulgaria, Alexander II became known in Bulgaria as the "Tsar-Liberator of Russians and Bulgarians". A monument to Alexander II was erected in 1907 in Sofia in the "National Assembly" square, opposite to the Parliament building. The monument underwent a complete reconstruction in 2012, funded by the Sofia Municipality and some Russian foundations. The inscription on the monument reads in Old-Bulgarian style: "To the Tsar-Liberator from grateful Bulgaria". There is a museum dedicated to Alexander in the Bulgarian city of Pleven. During the 1867 World Fair Polish immigrant Antoni Berezowski attacked the carriage containing Alexander, his two sons and Napoleon III. His self-modified, double-barreled pistol misfired and struck a horse of an escorting cavalryman. On the morning of 20 April 1879, Alexander was briskly walking towards the Square of the Guards Staff and faced Alexander Soloviev, a 33-year-old former student. Having seen a menacing revolver in his hands, the Emperor fled in a zigzag pattern. Soloviev fired five times but missed; he was hanged on 28 May, after being sentenced to death. On the evening of 5 February 1880 Stephan Khalturin, also from Narodnaya Volya, set off a timed charge under the dining room of the Winter Palace, right in the resting room of the guards a story below, killing 11 people and wounding 30 others. The New York Times (March 4, 1880) reported "the dynamite used was enclosed in an iron box, and exploded by a system of clockwork used by the man Thomas in Bremen some years ago." However, dinner had been delayed by the late arrival of the tsar's nephew, the Prince of Bulgaria, so the tsar and his family were not in the dining room at the time of the explosion and were unharmed. At home, Tsarina Marie Alexandrovna was suffering from tuberculosis and was spending increasing time abroad. In 1866, Alexander II took a mistress, Princess Catherine Dolgorukaya, with whom he would father three surviving children. The affair, in the face of the tsarina's declining health, served to alienate the rest of his adult children, save his son Alexei and his daughter, who, like Alexander II's brothers, believed that the tsar was beyond criticism. In 1880, however, following threats on Catherine's life, the tsar moved his mistress and their children into the Winter Palace. Courtiers spread stories that the dying Tsarina was forced to hear the noise of Catherine's children moving about overhead, but her rooms were actually far away from those occupied by the Empress. When Grand Duchess Marie Alexandrovna made a visit in May 1880, being warned that her mother was dying, she was horrified to learn of his father's mistress' living arrangements and confronted her father. Shocked by the loss of support from his daughter, he quietly retreated to Gatchina Palace for military reviews. The quarrel, however, evidently, jolted his conscience enough to lead him to return to St. Petersburg each morning to ask after his wife's health. The tsarina, however, had not much longer to live, dying on 3 June [O.S. 22 May] 1880. On 18 July [O.S. 6 July] 1880, Alexander II and Catherine were married in a secret ceremony at Tsarskoe Selo. 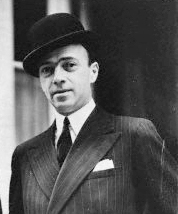 The action scandalized both his family and the court, also violating Orthodox custom which required a minimum period of 40 days mourning between the death of a spouse and the remarriage of a surviving spouse, eliciting criticism in foreign courts. 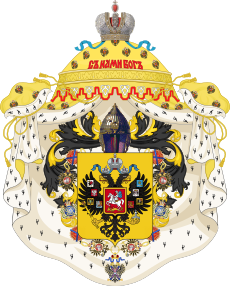 Alexander also bestowed on Catherine the title of Princess Yurievskaya and legitimized their children. After a moment's hesitation I threw the bomb. I sent it under the horses' hooves in the supposition that it would blow up under the carriage... The explosion knocked me into the fence. The dying emperor was given Communion and Last Rites. When the attending physician, Sergey Botkin, was asked how long it would be, he replied, "Up to fifteen minutes." At 3:30 that day, the standard of Alexander II (his personal flag) was lowered for the last time. The Church of the Savior on Blood was built on the site of Alexander II's assassination. In 1838–39, as a young bachelor, Alexander made the Grand Tour of Europe which was standard for young men of his class at that time. One of the purposes of the tour was to select a suitable bride for himself. He stayed for three days with the maiden Queen Victoria, who was already Queen although she was one year younger than him. The two got along well, but there was no question of marriage between two major monarchs. Alexander went on to Germany, and in Darmstadt, he met and was charmed by Princess Marie, the 15-year-old daughter of Louis II, Grand Duke of Hesse. On 16 April 1841, aged 23, Tsarevitch Alexander married Marie in St. Petersburg; the bride had previously been received into the Russian Orthodox Church, taking the new name of Maria Alexandrovna. Emperor Alexander III (10 March 1845 – 1 November 1894) he married Princess Dagmar of Denmark on 9 November 1866. They had six children. 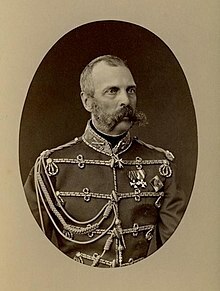 Grand Duke Vladimir Alexandrovich of Russia (22 April 1847 – 17 February 1909) he married Duchess Marie of Mecklenburg-Schwerin on 28 August 1874. They had five children. Grand Duke Alexei Alexandrovich (14 January 1850 – 14 November 1908) he married Alexandra Zhukovskaya in 1870. They had one son. Grand Duchess Maria Alexandrovna of Russia (17 October 1853 – 24 October 1920) she married Alfred, Duke of Saxe-Coburg and Gotha on 23 January 1874. They had six children. Grand Duke Sergei Alexandrovich of Russia (11 May 1857 – 17 February 1905) he married Princess Elisabeth of Hesse and by Rhine on 15 June 1884. Grand Duke Paul Alexandrovich of Russia (3 October 1860 – 24 January 1919) he married Princess Alexandra of Greece and Denmark on 17 June 1889. They had two children. He remarried Olga Karnovich on 10 October 1902. They had three children. Prince George Alexandrovich Yuryevsky (12 May 1872 – 13 September 1913) he married Countess Alexandra von Zarnekau on 11 February 1900 and they were divorced in 1908. They had one son. Princess Olga Alexandrovna Yurievskaya (7 November 1873 – 10 August 1925) she married Count Georg of Merenberg on 12 May 1895. They had three children. Princess Catherine Alexandrovna Yurievskaya (9 September 1878 – 22 December 1959) she married Prince Alexander Vladimirovich Baryatinsky (1870–1910) on 18 October 1901. They had two sons. She remarried Prince Sergei Platonovich Obolensky on 6 October 1916 and they were divorced in 1924. Oscar Wilde's first play Vera; or, The Nihilists, written in 1880—Alexander II's last year—features Russian revolutionaries who seek to assassinate a reform-minded Emperor (and who, in the play, ultimately fail in their plot). Though Wilde's fictional Emperor differs from the actual Alexander, contemporary events[which?] in Russia – as published in the British press of the time – clearly[original research?] influenced Wilde. The Monument to the Tsar Liberator in Sofia commemorates Alexander II's decisive role in the Liberation of Bulgaria from Ottoman rule during the Russo-Turkish War of 1877–78. ^ Old style: 17 April 1818; 1 March 1881. ^ D.M.W. (1910). "ALexander II (1818–1881)". The Encyclopaedia Britannica; A Dictionary of Arts, Sciences, Literature and General Information. I (A to Andro) (11th ed.). Cambridge: University Press. pp. 559–61. Retrieved 28 December 2018 – via Internet Archive. ^ "Reformation by the Tsar Liberator". InfoRefuge. InfoRefuge. Retrieved 18 April 2016. ^ a b "Alexander II | emperor of Russia". Encyclopedia Britannica. Retrieved 2018-05-14. ^ Claus-M., Naske (1987). Alaska, a history of the 49th state. Slotnick, Herman E. (2nd ed.). Norman: University of Oklahoma Press. p. 61. ISBN 978-0806125732. OCLC 44965514. ^ Wallace 1911, pp. 559–60. ^ a b c d e f g h Wallace 1911, p. 560. ^ The McGraw-Hill encyclopedia of world biography: an international reference work. McGraw-Hill. 1973. p. 113. ^ Edvard Radzinsky, Alexander II: The Last Great Tsar, pp. 65–69, 190–91 & 199–200. ^ Radzinsky, Edvard (2005). "How to Bring Up a Caesar". Alexander II: The Last Great Tsar. Translated by Bouis, Antonina (reprint ed.). New York: Simon and Schuster. p. 62. ISBN 978-0743281973. The tsarevich was the first Romanov heir to visit Siberia, where convicts and exiles were sent. ^ Simon Sebag Montefiore, The Romanovs: 1613–1918 (New York: Alfred A. Knopf, 2016), pp. 392ff. ^ "The new volumes of the EncyclpÆedia britannica: constituting, in combination with the existing volumes of the ninth edition, the tenth edition of that work, and also supplying a new, distinctive, and independent library of reference dealing with recent events and developments ..." A. & C. Black. 29 December 2017 – via Google Books. ^ Jonathon Bromley, "Russia 1848–1917"
^ Edvard Radzinsky, Alexander II: The Last Great Tsar, pp. 150–51. ^ Maine, Henry (1888). International Law: A Series of Lectures Delivered Before the University of Cambridge, 1887 (1 ed.). London: John Murray. p. 128. Retrieved 29 September 2015. ^ Wallace 1911, pp. 560–61. ^ a b c Waller, Sally (2015). Tsarist and Communist Russia 1855–1964. Oxford: Oxford University Press. p. 23. ISBN 978-0-19-835467-3. ^ "Dmitry Andreyevich, Count Tolstoy | Russian statesman". Encyclopedia Britannica. Retrieved 2018-05-14. ^ Morfill, William (1902). A history of Russia: from the birth of Peter the Great to Nicholas II. James Pott. p. 429. ^ a b Haarmann, Harald. Modern Finland: Portrait of a Flourishing Society. McFarland. p. 211. ISBN 978-1476625652. ^ Verhoeven, Claudia (2009). The odd man Karakozov : Imperial Russia, modernity, and the birth of terrorism. Ithaca: Cornell University Press. ISBN 978-0-8014-4652-8. ^ Tarsaidze, Alexandre (1970). Katia: Wife before God. New York: Macmillan. ^ Harris, Richard. Mother's recounting of her father's experience. ^ "Alexander II of Russia". Spirit of the Times; a Chronicle of the Turf, Agriculture, Field Sports, Literature and the Stage (1835–1861). 25: 304. August 11, 1855 – via ProQuest. This article incorporates text from a publication now in the public domain: Wallace, Donald Mackenzie (1911). "Alexander II." . In Chisholm, Hugh. Encyclopædia Britannica. 1 (11th ed.). Cambridge University Press. pp. 559–61. "Alexander II (Obituary Notice, Monday, March 14, 1881)". Eminent Persons: Biographies reprinted from the Times. II (1876-1881). London: Macmillan and Co. 1893. pp. 268–291. Retrieved 9 February 2019 – via HathiTrust. The Emperor Alexander II. Photos with dates. 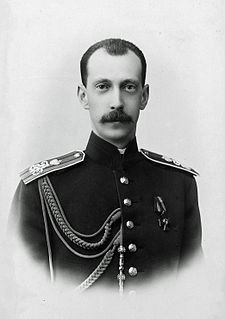 Prince Andrei Alexandrovich of Russia was the first son and second child of Grand Duke Alexander Mikhailovich of Russia and Grand Duchess Xenia Alexandrovna of Russia. He was also the eldest nephew of Nicholas II of Russia, the last Tsar. 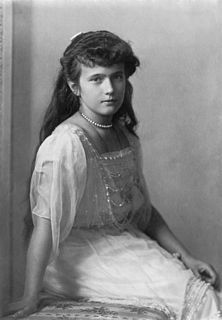 Princess Xenia Andreevna Romanoff was a direct descendant of the Tsars of Russia. She was a great niece of Nicholas II, the last reigning Russian Emperor. The assassination of Tsar Alexander II of Russia took place on March 13, 1881, in Saint Petersburg, Russia. Alexander was killed while traveling to Mikhailovsky Manège in a closed carriage after one assassin threw a bomb which damaged the carriage, prompting Alexander to dismount, at which point a second assassin threw a bomb that landed at the Tsar's feet. Prince George Alexandrovich Yuryevsky was the natural son of Alexander II of Russia by his mistress, Catherine Dolgorukov. The morganatic marriage of George's parents on 6 July 1880, eight years after his birth, resulted in the legitimation of their three surviving children, and George gained the style of Serene Highness.